We are glad to announce that we have prepared a list of interesting sites with ready-made templates for online-stores and will kindly integrate them into your CS-Cart system. Cost-cutting. Ready-made templates are always much cheaper than individual design creation. Time-saving. Creating an individual design for the site is a time-consuming task whereas a ready-made template you can get immediately. A wide range of available ready-made templates. It means that you have an opportunity to select the most appropriate one for your business. Possibility to modify the template to meet your business needs (coding skills may be required). Notice! 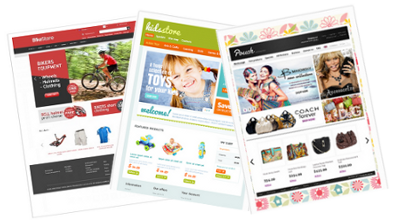 Even if a template is developed for a certain shopping cart (Magento, PrestaShop, Zen Cart, etc. ), it can be integrated into CS-Cart upon the approval of a design integrator. The integration of a ready-made template into your CS-Cart will take us approximately two weeks. You are welcome to choose a ready-made template appropriate for your business and contact us for an integration request. If your budget doesn’t allow you to pay for the individual website design, think over choosing a ready-made template and integrate it into your system. It is a good opportunity to get a website design of a good quality and attractively priced. P.S. Also, check out the list of CS-Cart skin sellers who offer CS-Cart templates already integrated into the system.